Factory parts-stocking programs such as Fiat Chrysler Automobiles' Automatic Replenishment Order system greatly affect — and can complicate — dealerships' efforts to manage their parts inventories. So do similar programs operated by vendors that serve other automakers. Dealers say such programs require a strategic approach to inventory management, as well as careful monitoring. The factory programs generally recommend that dealers stock fast-moving parts, and guarantee that dealers can return them if they don't sell within a year. They also allow for short-term returns of items ordered in error, typically with restocking fees. At the same time, return allowances on nonstock parts have shrunk to narrow bands. FCA's program offers most dealerships a return allowance equal to two per cent of the value of nonstock or special order parts. Smaller dealerships can get as much as four per cent. A decade ago, that allowance was 6.5 per cent. 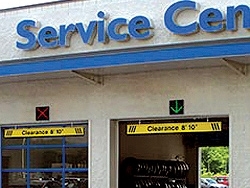 The allowance can take the form of a dealership returning unsold parts or collecting cash to dispose of parts. To earn even that allowance, dealerships must comply with 90 per cent of the automaker's stocking recommendations, up from 88 per cent in 2015. A spokesman for Mopar, FCA's parts operation, did not respond to a request for comment. Randy Buyers, the parts director at Ontario Chrysler in Mississaugua, Ontario, claims that FCA bases its program on regional demand rather than the parts needs of individual dealerships. "I spent a number of years at a dealership ... trying to clean out inventory," Buyers says. "When I moved, all the [parts] I was trying to get rid of there were popular at my new location. What's popular 15 miles away may not be popular where you are." Joe McBeth, the parts director of Dallas Dodge-Chrysler-Jeep-Ram, says he likes the FCA program and relies on it to help manage the dealership's US$2.8 million worth of parts. But he concedes the program can cause problems for smaller dealerships. "At a dealer with only US$100,000 in parts inventory," he says, "requiring they stock two US$4,000 transmissions is a big chunk. Smaller dealers might struggle with keeping their inventory where their owners want it and being in [factory] compliance." McBeth notes that some dealerships need to watch their parts inventories more closely. "We buy [parts] from many sources, and we sometimes see dealers selling parts that they could return to Chrysler for full refunds. "I wouldn't say it's the majority, but maybe everybody needs a refresher lesson on how to ... pull out what's returnable," McBeth says.